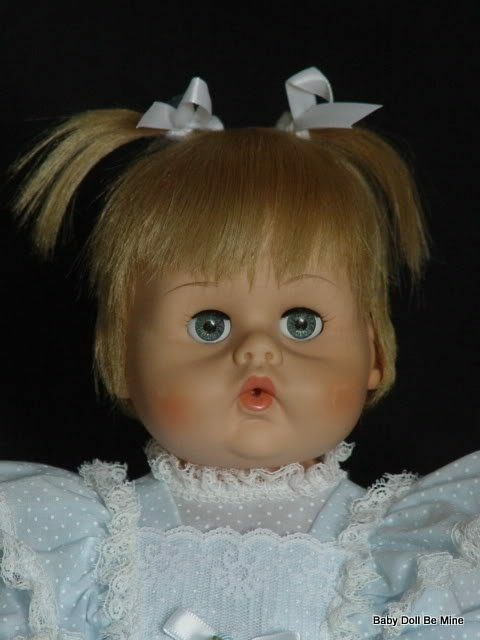 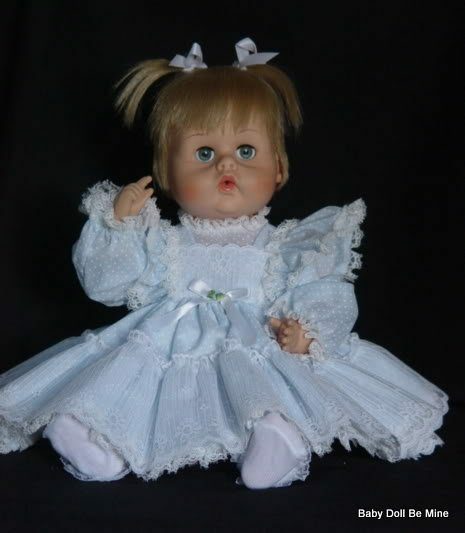 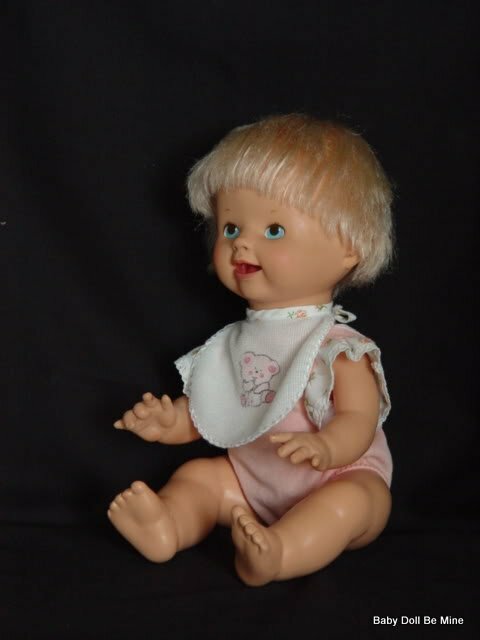 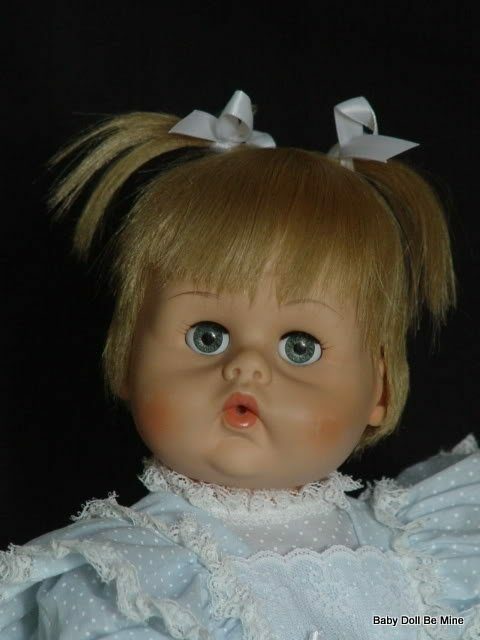 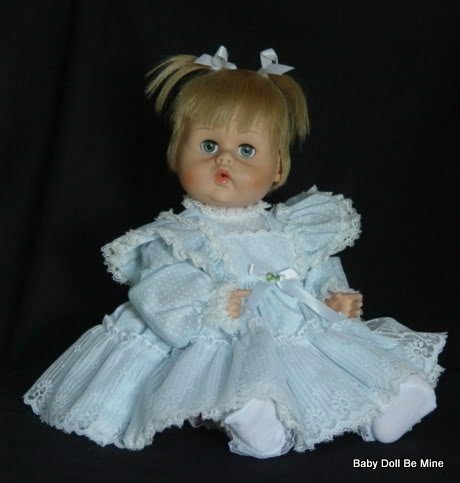 This is the 18 inch Tiny Tears doll from 1964. 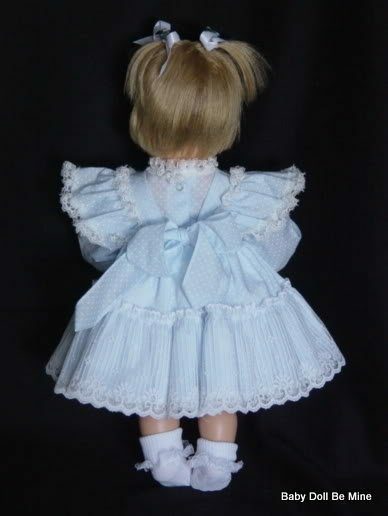 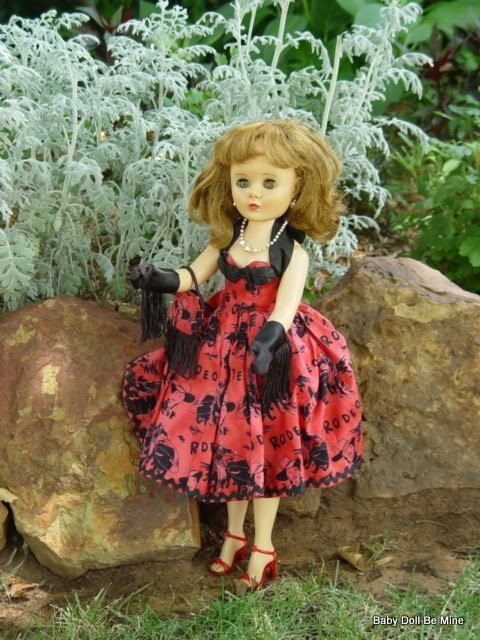 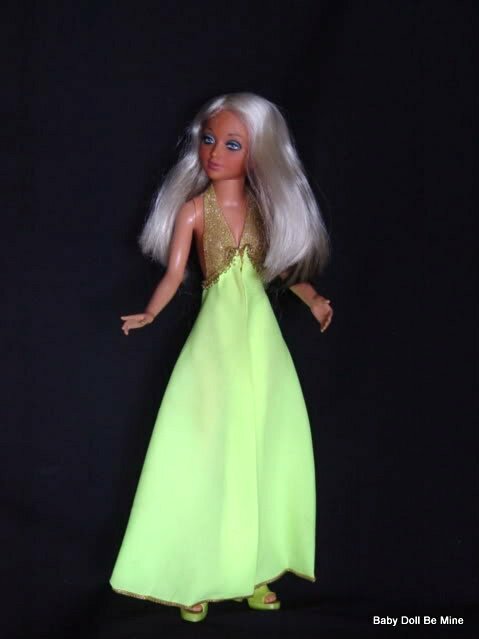 She is wearing a replaced new and very frilly little dress set. 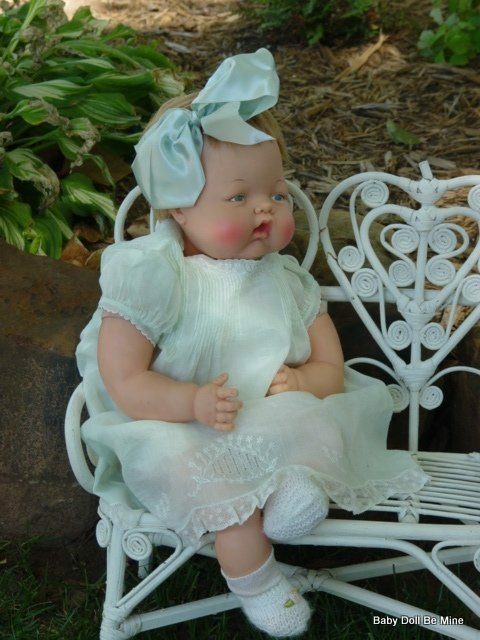 She seem to be in very good condition.